At this point in the evolution of iOS jailbreaks, there aren’t many options for novice jailbreak enthusiasts. All the current options are in some stage of beta and, while some are more stable than others, it does require a little knowledge of the jailbreak process to get it to work every time. 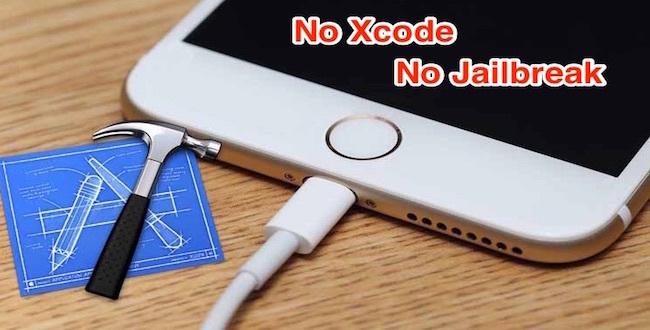 Several expert jailbreakers and developers are currently working on either new jailbreaks or improvements to existing ones, but if you don’t have an iOS jailbreak option for your iOS 10+ device, then zJailbreak might be the way to go. Released about 3 months ago, zJailbreak is a non-root method of installing third party apps on your iDevice, including iPhone 7 and iPhone 7 Plus. Since it doesn’t jailbreak your device, it’s much safer to install, and doesn’t expose you to security risks the way an iOS jailbreak would. Not only can you get tweaked and non-App-Store apps installed, you can even get the iOS 11 beta version on your iPhone 7 or 7 Plus. And you won’t even have to pay the $99 for the developer ID to check out what the latest iOS version has in store for iPhone 8 when it comes out later this year. Basically, zJailbreak gives you all the freedom of a jailbreak, but without root access, which means there are certain things you won’t be able to do. But that also means it won’t be able to brick your device, and if anything goes wrong, uninstalling zJailbreak is just as easy as installing it. Just a single tap, no restore or firmware update required. The best part is that you don’t even need a PC or Mac to get zJailbreak on your iDevice. Just visit the official zJailbreak site on your device, tap on “INSTALL NOW” and everything is pretty much automated from there on in.